When you think of airline loyalty programs in Canada, often the first name that comes to mind is Aeroplan, the long standing rewards program affiliated with Air Canada. But Canada’s second largest airline, WestJet, has a rewards program of its own, and it just might be one of the best airline loyalty programs anywhere, let alone in Canada. 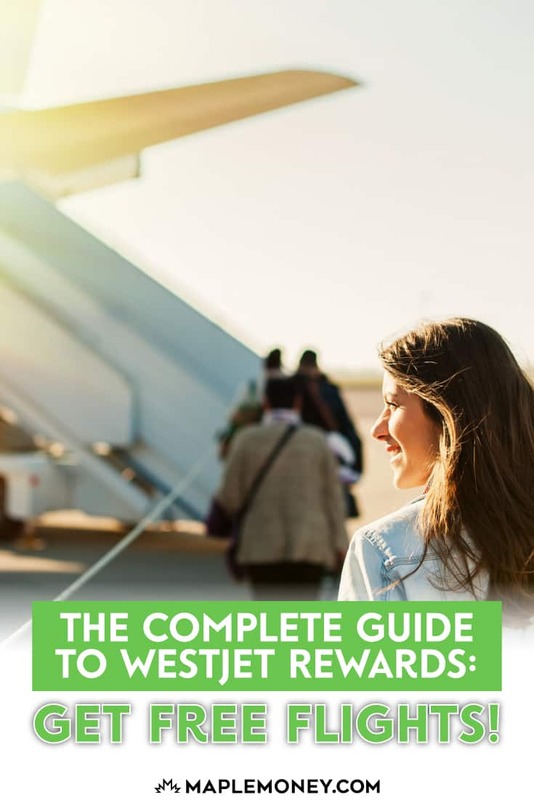 In this article, I’ll cover everything you need to know about WestJet Rewards, and show you how to get the most out of the program. Let’s get started! WestJet Rewards is a free loyalty program which allows you to earn WestJet dollars when you book qualifying flights, vacation packages, hotels, and car rentals through WestJet. The rewards are tiered, so the more you spend on travel, the higher the percentage you’ll get back in points, not to mention added perks. I’ll explain how the tiers work a bit later. And while it’s not required, you can maximize your WestJet dollars by adding the earning power of a WestJet Mastercard. What Are WestJet Dollars Worth? With many brand loyalty programs, understanding what points are worth can be difficult, to say the least. Thankfully, WestJet makes it easy. Put simply, one WestJet dollar is equivalent to one Canadian dollar. For example, if you’ve accumulated 350 WestJet dollars, they can be redeemed for $350 off of the price of travel. Signing up for the WestJet Rewards program is free. When you book qualifying flights, vacation packages, as well as select hotels or car rentals through WestJet, you receive points. The best way to accumulate points quickly is to apply for one of the two RBC-affiliated WestJet Mastercards. This allows you to earn WestJet dollars when you make regular, everyday purchases, like gas or groceries. Also, by using your WestJet credit card to purchase travel, you can multiply your earning power by stacking the credit card points with regular WestJet Reward points. Important to note: Not every dollar you spend on travel will earn WestJet dollars. As an example, for flights, only the base fare will qualify, the applicable taxes and fees don’t count. In addition, if you purchase a basic ticket, as opposed to an econo-flex, or premium, it will not count towards your annual spend for the purpose of qualifying for a higher rewards tier. There are a number of other exclusions. I recommend that you visit the WestJet Rewards FAQ page to make yourself familiar with all of them. As I mentioned earlier, WestJet Rewards operate on a tiered system. Basically, the more you spend annually on qualifying purchases, the closer you get to the next tier, which comes with added features and increased rewards. For 2019, there are 4 tiers which will earn you increasing rewards: Teal, Silver, Gold, and the recently created Platinum tier. Teal is the first WestJet Rewards tier, and covers qualifying spending from $0 – $2,999. With Teal status, you earn .5% on qualifying flights and vacation packages, and 1% on select hotels, car rentals and insurance. Other benefits, such as free checked bags, or vouchers for advanced seat selection remain locked at the Teal level. The silver tier unlocks several added features, along with a greater opportunity to earn points. For spending between $3,000 and $4,999, you’ll earn an impressive 3% back for flight purchases, and 1% on vacation packages. Other WestJet purchases remain at 1%. In addition, you qualify for two free checked bags at the silver tier, as well as 4 vouchers for advanced seat selection and airport lounge access, and priority boarding privileges. Remember what I said earlier about stacking WestJet RBC Mastercard points with regular WestJet Rewards points? Imagine purchasing your flights with a WestJet RBC World Elite Mastercard. At the silver level, you’d earn 5% back. Reward members reach Gold status when their annual spending falls between $5000 and $7,999. At this level, WestJet dollars are earned at a rate of 5% for flights, and the earnings for vacation packages climbs to 1.5%. Also, the number of advanced seat selection and lounge access vouchers increases, to 6 and 10 respectively. Gold tier members also have the option of a higher boarding priority than at the silver tier. The platinum tier was introduced in 2018, and offers very attractive benefits to people who travel frequently on WestJet. 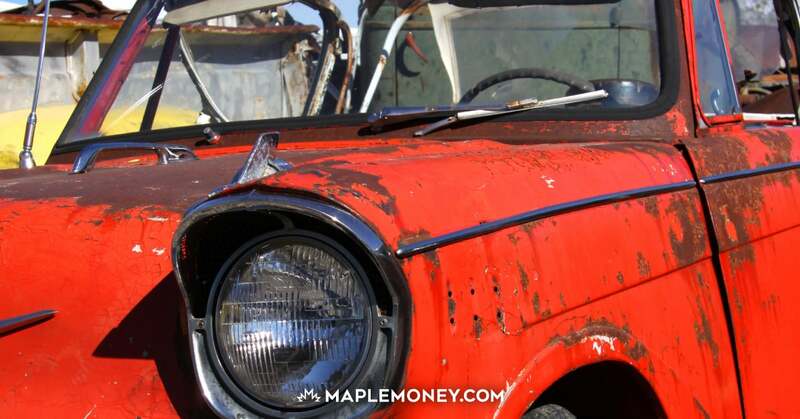 You must have annual qualifying purchases of over $8000 to remain at this level, but if you do, the earning power is huge. Platinum members earn a whopping 8% back on qualifying WestJet flights, and 2% on vacation packages. Cars rentals, hotels, and insurance remains at 1%. In addition, Platinum members receive 3 checked bags free of charge, unlimited advanced seat selection, and additional vouchers for airport lounge access. Members at both the gold and platinum tiers are given a dedicated telephone support line, for faster and more individualized service. One nice feature of the rewards tiers is that you keep your status for a full year following the year you qualified. For example, if your spending in 2019 moved you to the gold tier, your gold status would remain throughout 2020, even if your spending fell below next year. Of course, to stay at the gold level for 2021, your 2020 spending would need to remain at the gold level. While most travellers won’t qualify for the Platinum rewards tier, it’s incredible how much earning potential is available. As I mentioned earlier, you can maximize your WestJet dollars by combining your spending in any one of these tiers with one of the WestJet RBC Mastercard products. Let’s take a look at the two options. The RBC World Elite Mastercard is the single best way to maximize your WestJet Rewards. For starters, WestJet is currently offering $250 in WestJet dollars as a sign up bonus. Not only that, but World Elite cardholders enjoy a number of added benefits. The annual fee for the card is $119, and $59 for an additional cardholder, but as you’ll see below, it’s very easy to cover the annual cost by taking advantage of the many exclusive features the card has to offer. The bonus is triggered when you make your first purchase with the card, and while WestJet says that you will receive the $250 credit within 60 days of the first purchase, it often arrives much sooner. The World Elite Mastercard also increases your earning power. Cardholders earn 1.5% of their everyday purchases and up to 2% when they book WestJet flights and vacation packages. The 2% is over and above the percentage they earn for their respective WestJet Rewards tier. This translates to 7% for a Gold tier member, and an incredible 10% for members with Platinum status. I myself am a WestJet RBC World Elite cardholder, and this just might be my favourite perk of the card. In fact, it’s one of the main reasons I became a cardholder, along with the free checked bags. Every 12 months, World Elite cardholders receive one companion voucher, anywhere that WestJet flies. 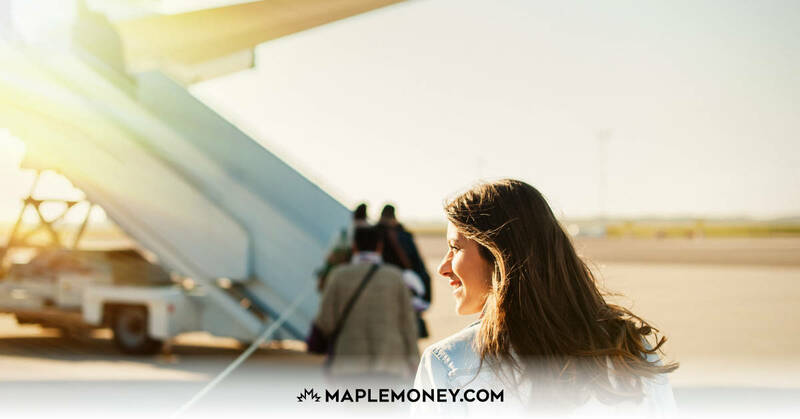 When the primary cardholder books a flight anywhere in Canada or the continental U.S., they can purchase a second ticket for a companion, for $99 return (plus taxes and applicable fees). For flights to Mexico, the Caribbean, or Hawaii, the companion voucher is $299, still a great deal. Other international routes are $399. This benefit, coupled with the next one, make the WestJet RBC World Elite Mastercard worth the cost. On all flights, the first checked bag is free for the primary cardholder, and up to 8 guests travelling under the same reservation. With the fee for a checked bag starting at $25, this can mean huge savings when you travel. Regular WestJet Rewards members must reach the silver level (over a $3000 spend) to qualify for free checked baggage, so having this benefit as a cardholder is a real bonus. Multiply your rewards when you book with your Mastercard, and link to your WestJet Rewards ID. Up to 10% in total credit. It’s important to note that the everyday spending you do with either of the WestJet credit cards will not count towards your WestJet Rewards tier status. Only qualified WestJet purchases ie. flights, vacation packages, can move you from one tier to the next ie. Teal to Silver. If you don’t plan on taking advantage of all the World Elite card has to offer, or you feel the annual fee is too high, the regular RBC WestJet Mastercard is another option. The annual fee is much lower, at $39, but you still earn a modest signup bonus of $50 WestJet dollars. In addition, you’ll earn 1.5% back on qualifying flights and vacation package purchases, as well as 1% on your everyday purchases. WestJet has partnered with Delta Airlines, allowing reward members to redeem their WestJet dollars on select Delta flights. There is one caveat, however. You must cover the entire cost of the flight with WestJet dollars, there is no partial redemption feature permitted. To make it easier, WestJet does allow you to purchase additional WestJet dollars, if you are short the amount required. The more WestJet dollars you purchase, the cheaper it becomes. In addition to Delta, WestJet has formed agreements with Qantas, Air France, and KLM. RBC customers have the option of converting their RBC rewards to WestJet dollars. This can be a great way to accumulate WestJet Rewards points quickly. 100 RBC rewards points converts to 1 WestJet dollar. WestJet is Canada’s second largest airline, but their WestJet Rewards program may just be the best airline loyalty program going. If your travel takes you to the many cities that WestJet serves, you should definitely consider becoming a WestJet Rewards member. And, you can maximize your earning potential by signing up for either of the WestJet credit cards. You forgot to mention $50 sign-up bonus for RBC world elite card (actually it’s $100 because both RBC and WestJet accounts are credited by $50 each). On negative side – companion voucher works for the top tariffs only (Ottawa – Paris basic ticket has $239 base fare which is much lower than $399 voucher).